Sitting for too long isn’t just uncomfortable – it can be lethal. 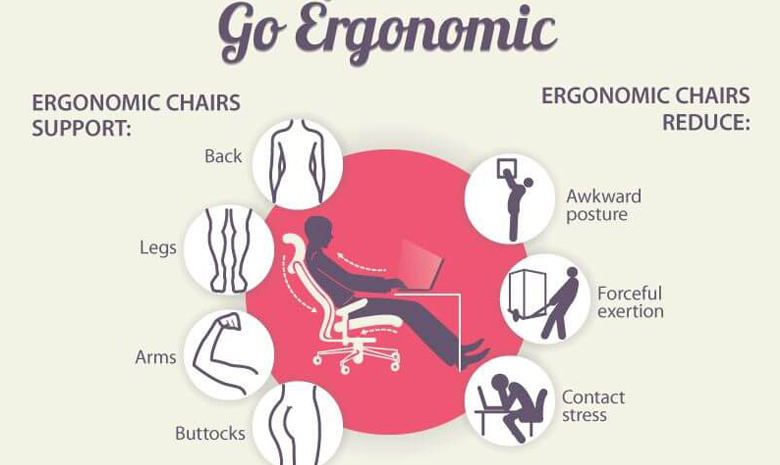 Fortunately, ergonomic chairs can make a difference for your health and productivity. We’ve touched on the dangers of sitting down in previous posts, and we’ve done a number of articles on workspace optimization. While we’ve previously discussed the benefits of standing desks, they’re simply not an option for the majority of us. The average American worker spends about 5 hours 41 minutes of sitting in an average work day, not to mention uncounted hours sitting at home and while on commutes. It’s a given that sitting for long periods in less than ideal conditions can lead to all sorts of aches and repetitive stress injuries. What fewer of us realize is that it can lead to obesity, metabolic dysfunction, cardiovascular diseases – and even cancer. While you should always try to stand up and walk around every hour or so, a good ergonomic chair can go a long way to mitigating much of the damage you’re doing to your body by sitting down. Plus, the added productivity won’t be such a bad thing, would it? What other tips can you share? Comment below!